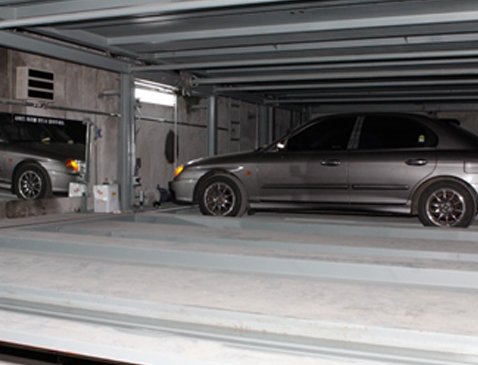 Multi-floor parking system (mostly applicable to an underground facility) is efficient in small space utilization. 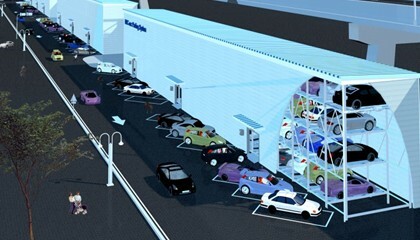 Parking system is equipped with vertical lifts on both sides of metallic structure, main vertical lift for vertical transportation and conveyor carrier for horizontal transportation. Movement is performed simultaneously circle-wise. This type is ideal for narrow and long area. 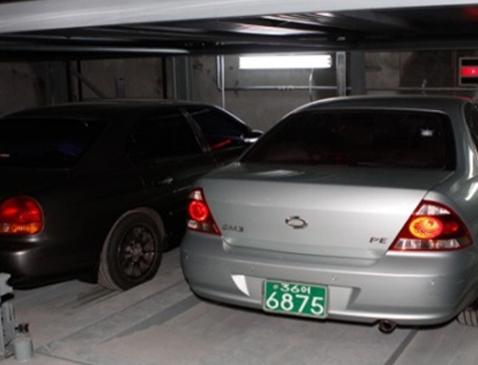 This construction may consist of 5 levels, utilizing given space to the maximum extent. 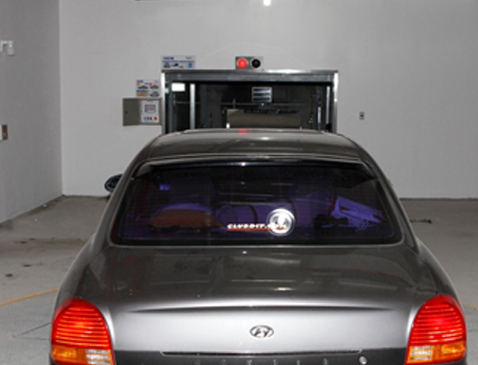 This parking system does not require any additional area for entrance being more efficient than any other parking system. Entrance and exit area may be appointed at any level depending on building’s features. 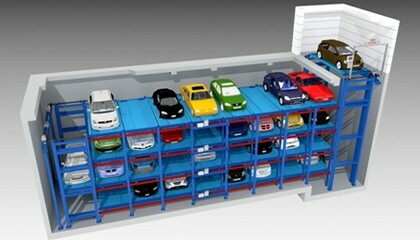 Ideally suitable for narrow type buildings.